Filters are a primary way to transform a layer whether it is for resizing, skewing, warping, adding perspective, rotating, flipping etc. Select a filter from the Filters menu. Adjust parameters. If preview is on you will see the results. Click the Apply button when done. 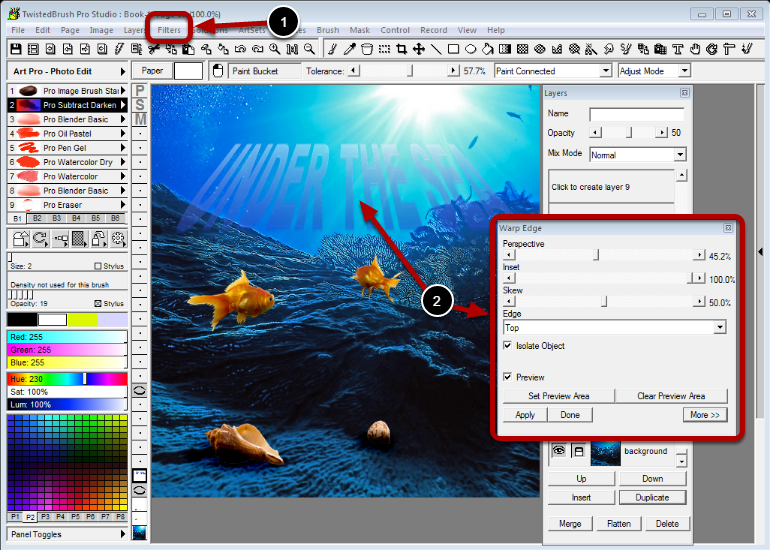 Note: The Copy tool and Paste tool are also powerful options for transforming a layer.